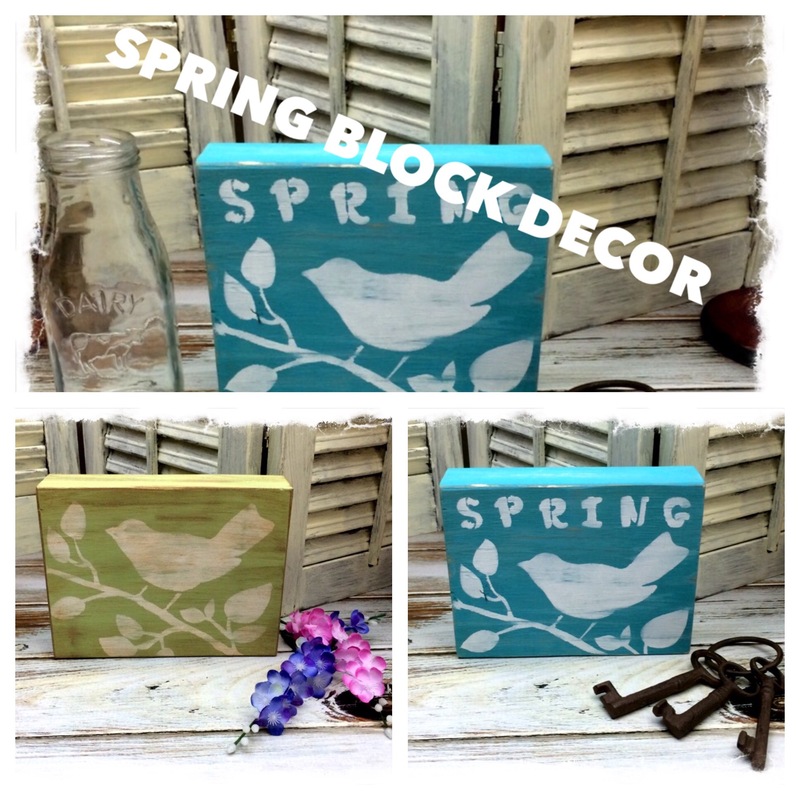 Here’s a couple of handmade spring decor blocks made from a two by six. 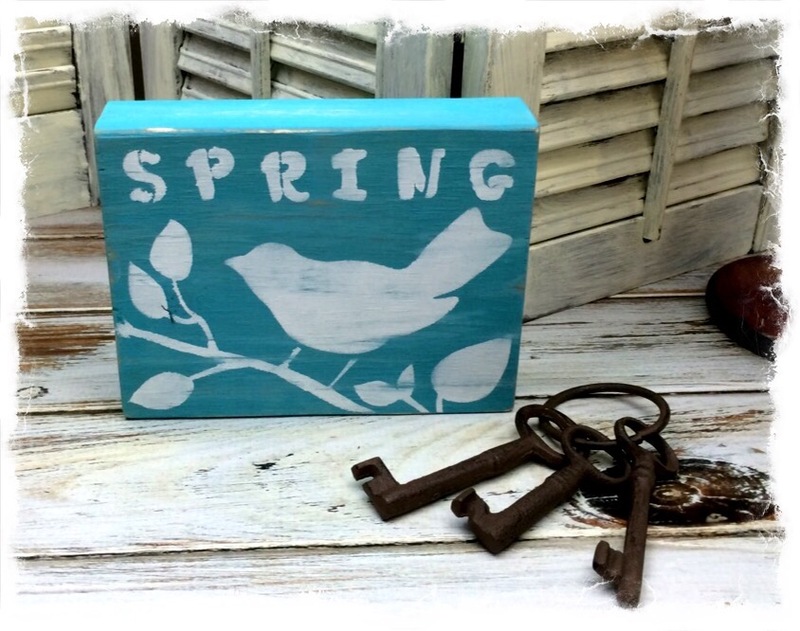 I gave each of the blocks two coats of paint, then I stenciled the bird and branch on both, and the word spring on just one. I then sanded each block till some of the natural wood showed through, the edges were sanded a little heavier. I decided to antique the green block by adding a coat of stain then wiping it off. 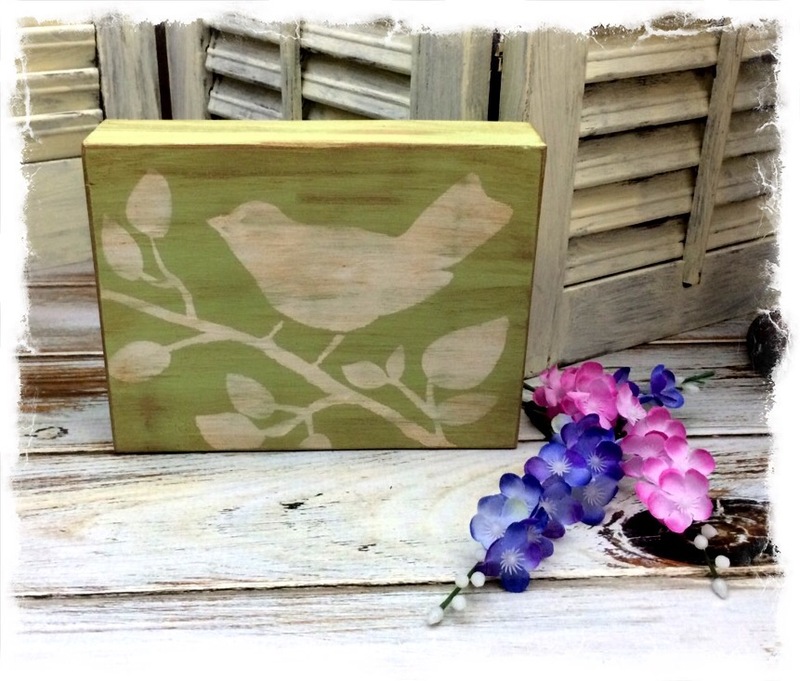 Both of these handmade spring decor blocks can be found in my booth at Nashville Texas in Burleson. Which one do you like best, the stained or un-stained? Painted Mason Jar Vase – Perfect gift for Mother’s Day! By The End Of This DIY Project, You Won’t Recognize This Old, Drab Bookcase! These look great! I would love the blue without the word “Spring” so that I could use it as decoration for a little longer. These would look great on my deck. Thank you Rachee! Great idea, I need to make some without the word. I WISH spring would get here. It won’t stop raining here. I know what you mean Carol. My garden isn’t doing very well because of all the rain and we suppose to have more storms tomorrow night or Sunday.